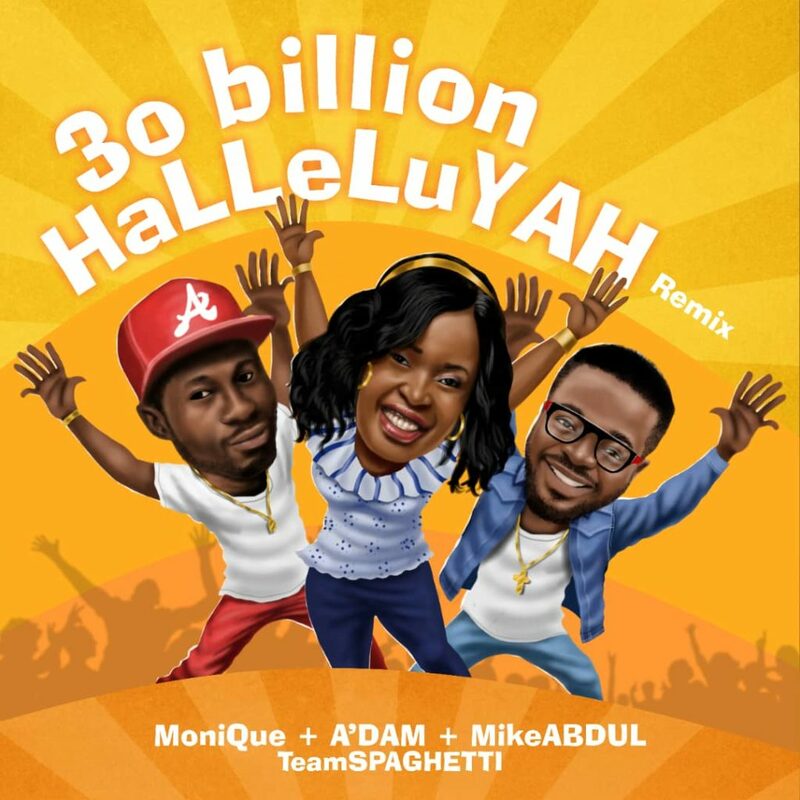 Get this hot gospel remix from Spaghetti Records – 30 Billion Halleluyah ft. Mike Abdul, Monique & A’dam. Spaghetti records have risen into the Nigeria gospel scene once more with a dangerous remix for “30 Billion Halleluyah,” and in light of the fact that this year has been a time of Mega leaps forward for TeamSPAGHETTI, the multi-capable group presents this remix to encourage the as yet drifting hit. The remix highlights a mix of the Head Honcho; Mike Abdul and colleagues; Monique and A’Dam Songbird. Listen & get Spaghetti Records – 30 Billion Halleluyah ft. Mike Abdul, Monique & A’dam below.